Kermit: We're trying to get the old gang back together again. We haven't done this in a long time. Your fans never left you. The world hasn't forgotten. I'm sure it's impossible, but we got to try. It's time to play the music. Jason Segel: It's time to light the lights. Amy Adams: It's time to meet the Muppets. Come on guys, let's go! These are The Muppets. Wow, I can't believe we're all together. 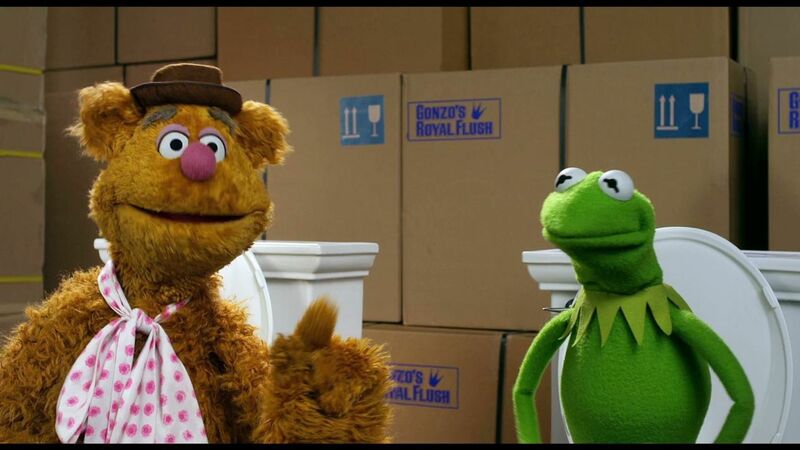 The Muppets have always been about artistic integrity, not cheap tricks. Check it out: fart shoes! This is gonna be a really short movie. There will be action. Oh look, what's that over there? What? Haiaa! Throw me over. I think that's an electric fence. It's an electric fence. Yep.